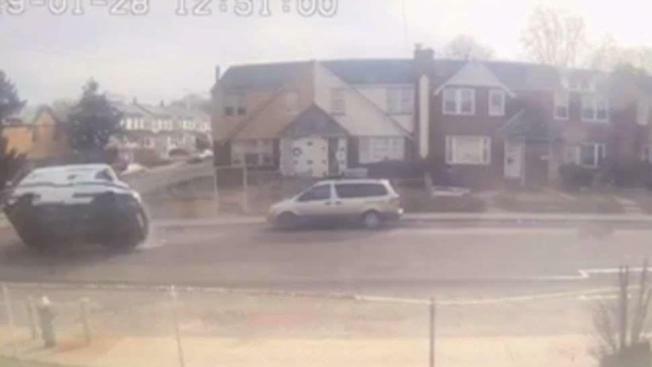 Dramatic video shows the moment an armored truck crashed onto a car. Gaby Acevedo reports. Three people were injured in a collision between an armored truck and a car in Queens Monday afternoon, police say. The incident happened just before 1 p.m. at the intersection of 115th Avenue and 200th Street in the St. Albans neighborhood. According to the NYPD, the truck appeared to have run a stop sign, before colliding with a BMW, and flipping on its side. Two people in the armored truck and one person in the BMW received minor injuries from the accident, police say. No one’s been charged in connection with the accident, according to the NYPD. Police also say the money in the van was accounted for and moved to another truck.